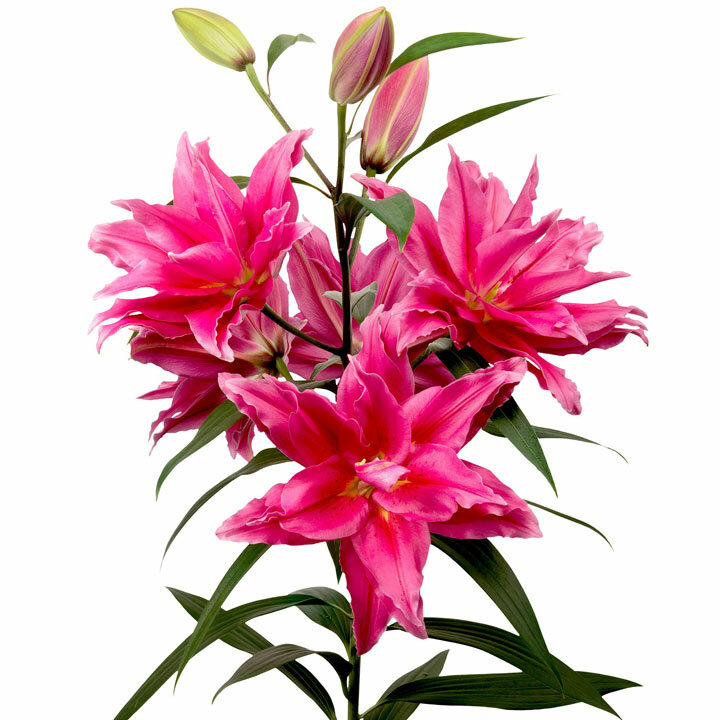 A unique series of double-flowered lilies, with a pleasant, light perfume, not the heavy, spicy scent so characteristic of some lilies. Their flowers produce no pollen (a great advantage for allergy sufferers and pet-owners). But most importantly they're stunningly attractive - as their flowers open, they form wonderful double flowers, similar to roses unfurling! Three varieties available: Viola - Flowers July-September. Height 60-70cm. Ciara - Flowers July-September. Height 60-70cm. Ramona - Flowers July-August. Height 70-80cm. 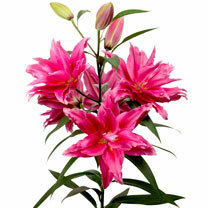 Roselily is the name of a unique series of double-flowering lilies. Their flowers produce no pollen a great advantage over traditional lilies. But most importantly Roselily varieties are stunningly attractive. As their flowers open, they form wonderful double flowers, similar to roses unfurling. The natural beauty of two flowers combined into one flower! We all love the fragrance of lilies, but sometimes it can be a bit much, can't it? 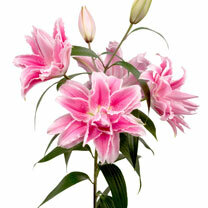 But, we think we've found the solution with these gorgeous Rose Lilies! An extra layer of petals envelops each bloom, covering troublesome pollen, but also diluting the usually over-powering fragrance. Each flower has the appearance of the most expensive porcelain, with 3 times as many petals as a normal lily. With the pollen parts hidden, you'll find these lilies will be kinder to those with allergies, and could also prove safer to inquisitive pets. Say goodbye to all those pollen stains on your clothes too! As easy to grow as any lily, with all the goodness being stored in the bulb from the word go, growing these Rose Lilies need no special skills! 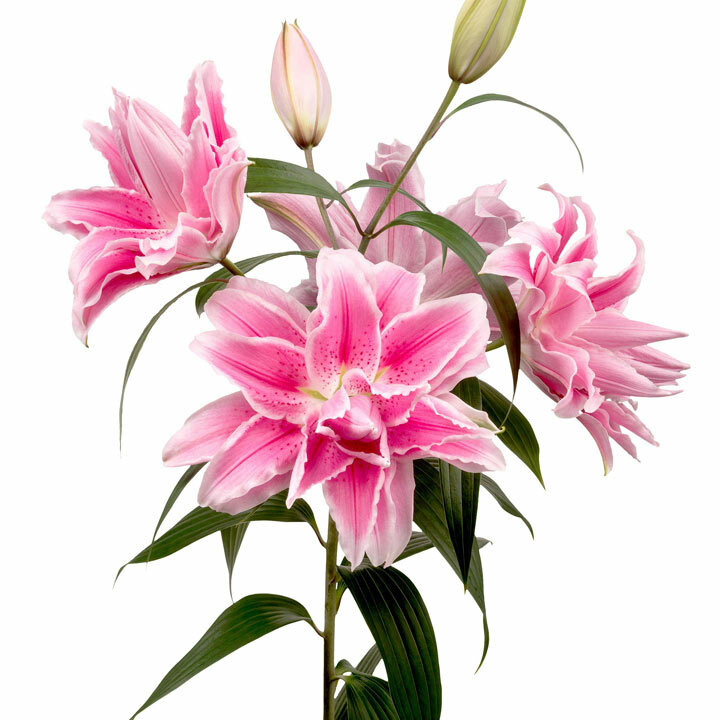 With an ultimate height of 80cm, the Lilies are short enough for patio containers, yet carry stems that are long enough for cutting. 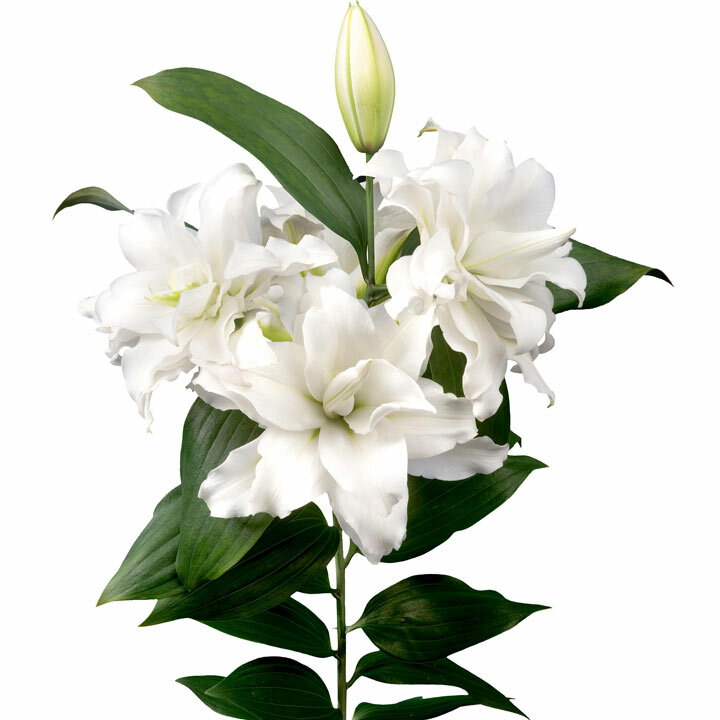 Can you imagine presenting a stem of Rose Lily to a friend on a special birthday? Well, now you can grow your own and do just that.